Michael Stich will always be remembered for winning the Wimbledon title in 1991 having only been a pro for three seasons previously. His remarkable feat was achieved with a great sense of power, big ground stokes, some crisp serving and fluent volleys, all of which helped outsmart his opponents, who in the semifinal was defending champion Stefan Edberg, at the time one of the world’s best players on a grass court surface. The final meanwhile saw him beat fellow German powerhouse Boris Becker in a tense game that led to Stich’s only major grand slam win of his career. Stich was also a fine doubles player who teamed up with the great American John McEnroe for a fifth set win over Jim Grabb and Richey Reneberg in the 1992 Wimbledon doubles final. He then teamed up with his countryman Boris Becker to win the doubles gold medal at the Olympics in Barcelona. In 1994, Stich was runner-up in the US Open (losing out to Andre Agassi) and again in 1996 at Roland Garros (where this time he was beaten narrowly by Kafelnikov). In all, Stich picked up 18 singles titles, which take in the 1992 Grand Slam Cup and the end of year 1993 ATP championships. 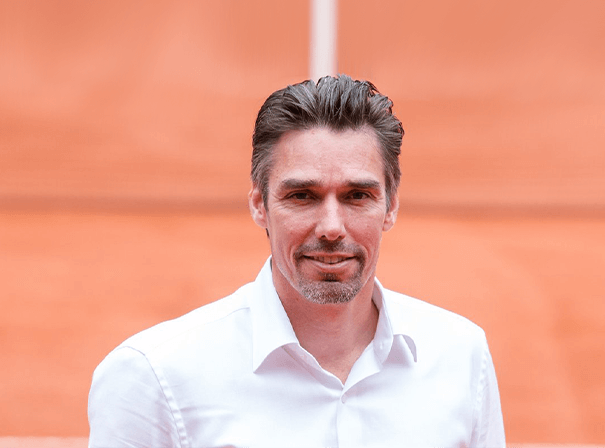 Playing for his country, Stich picked up the heist honours in the 1993 Davis Cup and Hopman Cup, and in 1994 was part of the side that won the ATP World Team Championships in Dusseldorf. His highest ranking was second in the world and he now commentates for the BBC on radio.